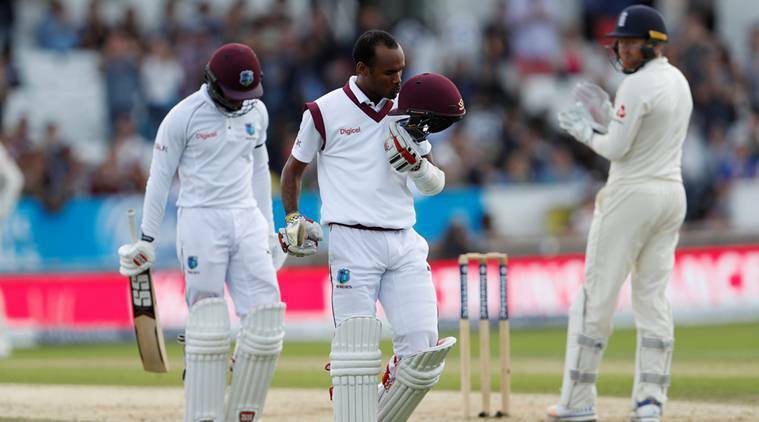 Headingly victory will be remembered as one the greatest victory in West Indies cricket. Although this team had had some more interesting, dramatic and historic victories to their credit in the past but this victory against England will proved to be more valuable to West Indies Cricket. As it came after they have been thrashed by England in 1st test match inside three days and they were highly criticized for their below par performance. Shai Hope, Kraig Braithwaite, Jermaine Blackwood, Kemar Roach, Shanon Gabriel all put in their top performance to beat one of the strongest teams who have played brilliantly at their home ground in recent past. Dismal, depressing and awful these are the terms which many would associate with the West Indies after their recent performances they had put in during the last 10 years; but whenever people starting to write them off they came up with some extra ordinary performances which gives their fans hope that their cricket is still breathing and not dead as yet. Chasing down the highest fourth innings total against bowling attack of mighty Australia comprising of Glen McGrath, Jason Gillespie, Stuart McGill and Bret lee when they were at the peak of their powers in 2003. Overpowering England in 2004 to clinch ICC champion’s trophy title to register a win in an ICC event after 25 years; after winning first two editions of Cricket World Cup in 1975 & 1979. Winning two T20 world cups in 2012 & 2016 to show their strengths in shortest format of the game. All these achievements came in when no one was ready to give them a chance but still they shown the world that they are still a force to reckon. Two time world cup champions, a team who didn’t lost a test series for consecutive 15 years at his prime, the team which has unearthed the talents like Clive Lloyd, Gary Sobers, Curtly Ambrose, Courtney Walsh, Brain Lara, George Headly, Viv Richards, Frank Worrell, Clyde Walcott, Everton Weekes and the list goes on and on. After reaching the pinnacle and stayed there for almost 15-20 years West Indies cricket nosedived. It was since 2000 after retirement of Ambrose and Walsh that they have not recovered although the cracks in their walls was starting to show up in early 90’s when likes of Viv Richrads, Malcom Marshal, Gordon Greinedge left them. Riche Richardson tries to hold the fort for some time with Curtly Ambrose, Courtney Walsh and Brian Lara but their performances were continuously dipping. Losing to minnows like Kenya and Afghanistan. Losing regularly from the position of strength, collapsed during the crunch times. All these things have damaged the reputation of this team which was once the super power of cricket world. Every now and then they came up with some astonishing performances which give West Indies cricket and its fan’s a new life and a new hope to keep believing in these group of cricketers from different island’s who are united because of their love and passion for cricket. You can’t say that there is short of talent in the Caribbean Island but it is just that many talented player have taken county over country approach and likes of Chris Gayle, Keiron Pollard, Andre Russell have preferred to play T20 leagues around the globe and infighting between the top players & west indies cricket board has hampered the progress of West Indies cricket. Darren Sammy and Darren Bravo had their issues with WICB and paying the price as they won’t be considered to represent West Indies although both of them can be rated as few of the top players in West Indies. Headingly Heroics with young guns have once again proved that they are down but not out as yet from the cricketing world. Next Article India’s Axar Patel Ranked 10th in ICC ODI Rankings. But How?